Gardening is a fun and fulfilling activity, especially when you got all the things you need. Since it can be quite tiring sometimes, it is better and essential that your gardening equipment is reliable to ensure that every gardening activity you have is a stress-free and a successful one. One of an essential equipment you need for gardening as well as lawn mowing is a wheelbarrow. 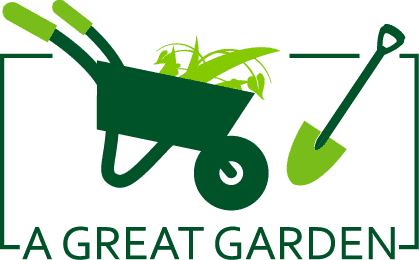 Thus, are you looking for the best wheelbarrow that perfectly suits your gardening needs? 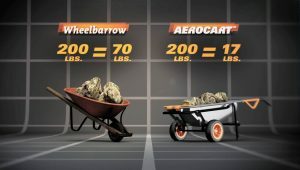 Choose Worx Aerocart: the best wheelbarrow ever ! 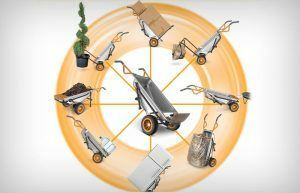 Worx Aerocart is the best wheelbarrow in the industry with the big benefits you can get from it. It is a wheelbarrow that makes your heavy loads as light as possible. Thus, no need to ask for help, since even if you have a load as big as 200lbs., it only feels like you are carrying a load as light as 17lbs.! Besides, it is an Aerocart 8-in-1 all-purpose wheelbarrow you can take anywhere that loads and does more beyond your expectations! Want to know more about the best features about this amazing wheelbarrow? Check out this Worx Aerocart reviews. It can do 08 essential functions in one wheelbarrow. It has a strong and heavy-duty wheelbarrow type structure. This aerocart has an ergonomic and patented design /center of gravity. This has tires that will never deflate. It is easy to store and fit into narrow spaces. It is perfect for household use, especially for gardening and lawn mowing purposes. It’s limited for home use only because it has less hauling capacity compared to other wheelbarrows. The wheelbarrow’s paint comes off quickly. This wheelbarrow is not rust proof which can affect its perfect attachment or fit other parts. This wheelbarrow is not ideal for users with a tall height. This wheelbarrow is hard to maneuver around tight corners because of its long structure. Worx Aerocart has a resilient capacity you can never find in other wheelbarrows. It has a fold-out extension arm that allows you to carry large and hard-to-carry items such as mulch bags. This Aerocart by Worx has a potted plant strap, enabling you to move plants safely. It has a cylinder holder that allows you to move round and cylindrical objects in a stable and secure way. It also has a bag holder where you can put your bag full of leaves and trash, freeing your hands to do other work. According to most customers reviews, this Worx Aerocart multifunction wheelbarrow provides you more than just a wheelbarrow! This can do the job of a wheelbarrow, an extended dolly, a potted plant mover, a cylinder holder, a bag holder, a rock lifter, a trailer mover and a hand truck. Furthermore, you can quickly transform the wheelbarrow into a dolly by just pulling the spring loaded knob on every side of the leg, and afterward, you can push the legs in a forward position. Thus, Worx Aerocart is truly a great deal you won’t dare to miss. This amazing wheelbarrow allows you to carry loads up to 300 lbs, which makes a household hauling job easier. Its plant mover and rock lifter have a capacity of 80lbs. Its volume capacity is also around 03 cubic feet, allowing you to load items that are quite large and cumbersome. 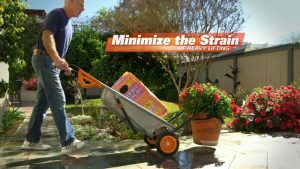 With this Worx’s Aerocart optimum hauling capacity, you can do more of your gardening and lawn maintenance jobs without worrying that your wheelbarrow might give up on you. In addition, this feature is very helpful especially when you are busy transferring and loading items from one place to another. This steel-made Worx Aerocart is powder-coated to ensure that you have great-looking but a heavy-duty and a well-performing wheelbarrow. With its robust steel construction, this wheelbarrow is reliable when it comes to carrying and moving vast and heavy loads. Its design puts stability as the priority, making the wheelbarrow able to endure heavy loads up to 300lbs. Thus, this Worx WG050 is putting the best of toughness, functionality, and sleekness in one wheelbarrow. By using this Worx Aerocart wheelbarrow, your loading and moving jobs become better and easier. With its cutting-edge design, it feels like you are moving light weights even if the tub is full and with a maximized capacity. This aerocart’s turbo lift design makes a 200 lbs load feel like only 17 lbs ! Furthermore, this wheelbarrow makes your moving jobs effortless with its extension arms designed to make you carry bulky and large items with ease. You are also assured that the objects you have in the tub are safe and stable, which makes your loading easier and better compared to using other wheelbarrows. What makes this Worx Aerocart one of the best wheelbarrows is its tires that will never go flat. Thus, there is no need to maintain and inflate it regularly. This wheelbarrow’s tires do not sink too much when the land is soft and wet, so no matter where you take it, rest assured it’s going to make it. 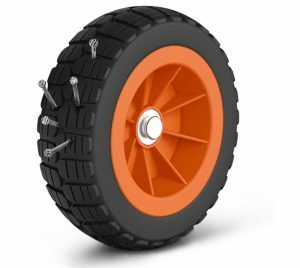 Worx Aerocart’s tires are toughly-made, which makes it a great feature for the wheelbarrow. Thus, with this wheelbarrow, you get tough, never deflating and versatile tires. This Worx Aerocart is space-savvy and easy to fit when passed through narrow doors. If you want to store this wheelbarrow, you just have to fold it up and put in your garage or in a small area in your house where it would fit. For a maximum storage capacity, convert the Worx Aerocart into dolly mode and store it in an upright and standing position. In this way, it only needs 15 in. of space from the wall. Additionally, this Worx Aerocart’s edge is it can easily move in narrow areas and spaces such as doors and garden paths. Thus, don’t worry about where to put or where to pass this wheelbarrow through, since it is definitely easy to store and move. 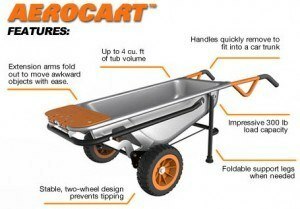 This Worx Aerocart is one of the best wheelbarrows that would not take much of your time when you assemble it. In just around 5 minutes, it is possible for you to put this wheelbarrow together! You can even assemble it without a need for an assembly instruction. With the ease of assembling this wheelbarrow, you can save a lot of time and energy.Even a lady can assemble the Worx Aerocart without needing to get the ladies pink drill driver for the assembling or any tool at all. You just have to mount the wheels and assemble the parts using a steel pin, and you are ready to go. Worx aerocart accessories are available on amazon and othe online stores. 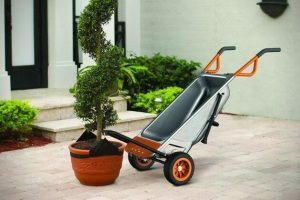 This Worx Aerocart is the perfect wheelbarrow for home use, especially in gardening and lawn mowing. With its large capacity, you can transfer and load materials in the tub with ease and without effort. This aerocart is totally perfect for these uses, because it has a potted plant safety strap, a cylinder holder, and a bag holder. Thus, you can move your potted flowers, gardening essentials, and mulch bags without exerting too much effort. You can also make great use of its bag holder to put your garbage. With the 08 functions, you can find in this wheelbarrow. Worx Aerocart is definitely a great value for money! Compared to buying each equipment which has only one function per equipment, and which requires you to spend lots of money for it, this Worx Aerocart is a great bang for the buck because you get 08 benefits in only one but more affordable product. In addition, not only does Worx Aerocart have 08 functions, but it also guarantees you a sturdy and heavy-duty wheelbarrow which makes your loading and moving jobs effortlessly. Check here to get all the amazing worx products for gardening. 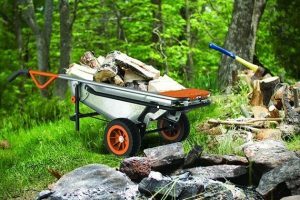 This Worx wheelbarrow is the best wheelbarrow that requires the least assembly time. In assembling this Worx Aerocart 8-in-1 all-purpose cart, you will only need to allow at best 5 minutes of your time. Since it’s easy to assemble this wheelbarrow, it would suffice if one person only does the job. Without even reading the instructions, one can definitely assemble this wheelbarrow with ease. Here is the manual to assemble worx aerocart. Download worx aerocart manual. Here are the five worx aerocart accessories which are included inside the package. This Worx 8-in-1 Aerocart is for gardeners or certified green thumbs.This Aerocart is for people who maintain their lawn. Since this Worx Aerocart is for any household loading and moving users, this is definitely made for anyone who intends to use it at home. Q: Does purchasing this wheelbarrow come with accessories? A: Yes, it does. 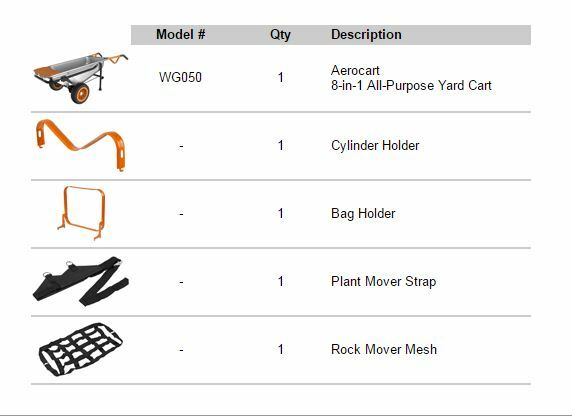 By purchasing this Worx Aerocart, you get a bag holder, a cylinder holder, a lifting net and a planter swing, which could all come in handy when gardening or lawn mowing. 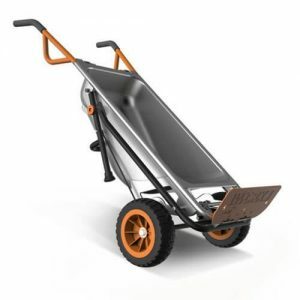 Q: Is this Worx Aerocart wheelbarrow ideal for tall people who will use it? A: Using this wheelbarrow would be quite an issue when your height is above 06 feet since you might feel uncomfortable or uneasy while using this wheelbarrow. However, using this wheelbarrow would be great if your height is between 5 feet to 6 feet. Q: How much does this Worx Aerocart weigh? A: This Worx Aerocart weighs around 42-45 lbs. However, it does not feel like that heavy with the toughness and stability it provides when you use it. This Worx Aerocart deserves to be the best wheelbarrow in the industry with the many great benefits you can get from it. With this wheelbarrow’s 08 functions combined in one product, you can never find a wheelbarrow as functional as this. Besides, it is not just significantly functional; it is also heavy duty and tough to load and move heavy and large materials even up to 300lbs. One concern of wheelbarrow users is their wheelbarrows do not easily fit into small areas and require much of the storage space. However, you can make this Worx Aerocart an exception, since this multifunctional wheelbarrow is totally easy to store and can easily fit into narrow doors, ways and spaces. Furthermore, no need to regularly inflate this Worx Aerocart wheelbarrow’s tires, since it is flat-free and maintenance-free, and usable on any kind of land condition, dry or wet. This Aerocart is ideal for household use, especially for gardening and lawn mowing purposes, because of the multifunctional benefits it provides. In addition, this wheelbarrow is also easy to assemble and excellent value for money. Even though this Worx Aerocart has less hauling capacity compared to other wheelbarrows, and this wheelbarrow is ideal for household purposes only, the benefits you can get from it outweigh the other wheelbarrow’s benefits. This aerocart is the best among all wheelbarrow brands in market. Thus, if you are looking for the best wheelbarrow for your home use, I highly recommend to buy Worx Aerocart, the best wheelbarrow ever.